When Are You Liable for a Tailgating Car Accident? - Crooks, Low & Connell, S.C. When Are You Liable for a Tailgating Car Accident? Tailgating – following too closely behind another vehicle – is a common factor in car accidents. It can be particularly dangerous at highway speeds, when braking distances are longer and the vehicle in front can obscure the tailgating driver’s view of traffic conditions ahead. When you rear-end another vehicle, you may be inclined to assume that the crash must have been your fault – especially if you “know” you were tailgating. But, are you legally liable? Or, could you still be entitled to financial compensation for your injuries? In Wisconsin, legal liability in auto accident cases is based on the concept of “negligence.” If one driver is negligent in causing another driver’s injuries, then the first driver (or, typically, his or her insurance company) is liable for the second driver’s financial and non-financial losses. So, assuming tailgating is negligent (which, of course, depends upon the circumstances), the first question is: Were you actually tailgating? Were you intentionally following too closely, or could it be the case that a sudden event forced you into a dangerous position? Was the Driver You Rear-Ended Driving Negligently? Remember, you were not the only driver involved in the crash. The car you rear-ended was being driven by someone, as well. What was he or she doing at the time of the accident? Did the driver brake suddenly because he or she was distracted, drunk, or drowsy? Were you given insufficient warning that the driver was braking because the car’s brake lights weren’t working? It could be the case that the driver in front of you is actually the one who is to blame. Were There Other Factors Involved in the Accident? There are numerous factors that can cause and contribute to vehicle collisions, and these factors do not become irrelevant simply because you may have been following closely. Instead, they could potentially give rise to other legal claims for your damages. Did your tires or brakes fail? Did you get rear-ended, starting a chain reaction of collisions? Would the Accident Have Occurred Even if You Weren’t Tailgating? 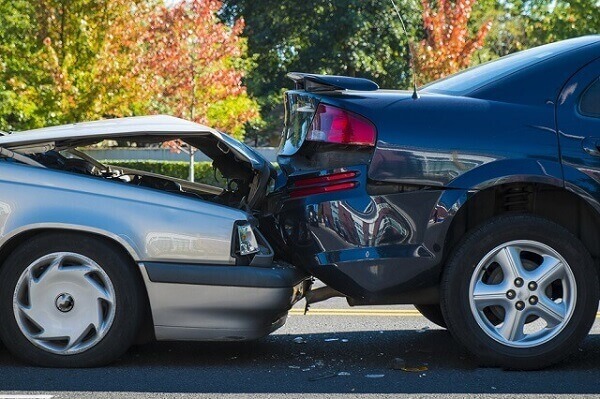 When you are considering whether you have a claim for damages against the driver in front of you, one thing to consider is whether, if you weren’t tailgating, the accident would have occurred anyway. With the forces involved in a vehicle collision, a lot can happen in the blink of an eye. When looking at the circumstances including those described above, the reality may be that adding more distance between your vehicle and the car in front of you would have done nothing to prevent the collision. Let’s assume that you were tailgating. Could you still be entitled to financial compensation for your injuries? In Wisconsin, the law holds people responsible for any actions they may have taken or failed to take that contributed to the crash. As long as you are no more than 50 percent at fault, you can still seek compensation for your injuries. That compensation will simply be reduced by the percentage of fault attributed to you as compared to others responsible. So, you were tailgating, but the drunk driver in front of you slammed on the brakes while texting behind the wheel in a car with no brake lights. Who is primarily to blame? If you have been injured in a rear-end collision, it is critical that you speak with an attorney about your legal rights. To schedule a free consultation with a Wausau, WI personal injury lawyer at Crooks, Low & Connell, S.C., please call (715) 842-2291 or contact us online today.